Cryptototem How-To Invest Are ICO’s Safe To Invest In? Are ICO’s Safe To Invest In? Is it safe to invest in Initial Coin Offerings (ICO)? Back in the day in the early days it wasn’t as safe as it is now. Right now, it’s definitely much safer than in the early days, when it was kind of a Wild Wild West. It has the same problems as you may have with your typical crowdfunding projects. It may be Kickstarter or GoFundMe, or whatever, where you give people the money, but you may not be sure if they actually follow through what they say they’re going to do. Imagine you’re giving somebody 100 dollars, 2 grands, 5 grands, and they never actually start the project. They run off with the money, they scam you, or maybe the project just completely fails. That situation could happen in the past. 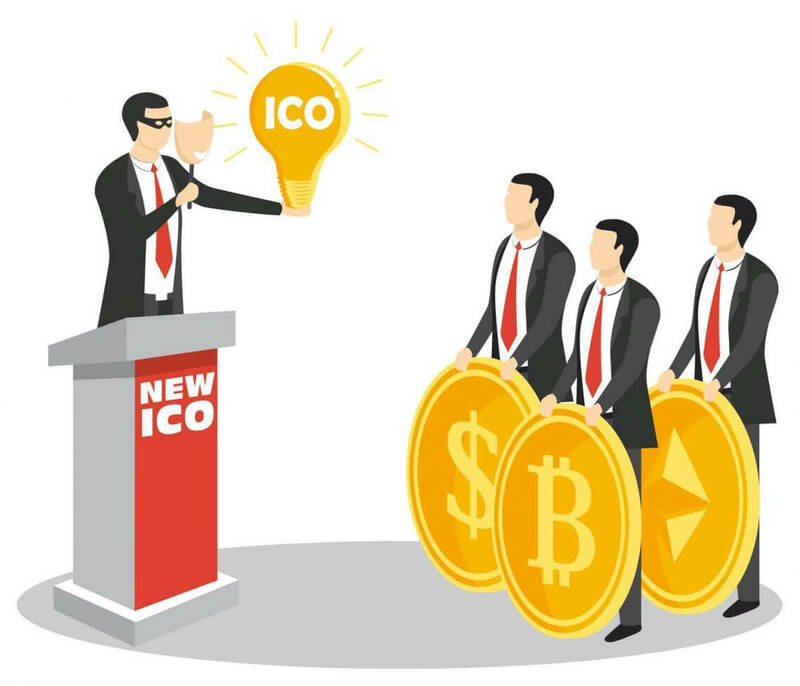 Nowadays, it’s less likely because now the crypto community as a whole has started to create different guidelines for what they desire in ICO before they invest. Now it’s harder for somebody to just run off with the money. Most people recommend you not to invest in companies unless they have an escrow account set up and escrow wallet. In this case, the money is locked and is owned by a third party. An escrow company owns that wallet and sets the special rules that you can’t take out money until you meet the particular goals of each milestone. For example, Golem is a company that has different milestones coming up. They have one coming up by next month – Golem Brass. The company is more likely to raise money from the general public and investors, if they say: “Okay, you may raise $10 million, but you only get $2 million after completion of every single milestones”. When you do milestone one and have 2 million for the first milestone, you finish that up and can take this other two million you raised. When you finish that up, you can take the next two million, three million. This creates safety in the community. It gives people that confidence before they back an idea. Other important thing when investing in ICOs is to avoid investing in teams that have anonymous developers, especially If you don’t know who was behind the team. They have no LinkedIn page, no picture, or they have a generic picture, a stock picture, or even worse it’s a stolen picture of somebody else. You have to do your due diligence. You can’t just invest blindly in this. Do your homework! There’s lots of money to be made, so some people will go the extra mile to scam people. Make sure you do your homework, do your due diligence. If you know who the founders are on their website, check them out on LinkedIn. See if their background is credible. Search them on Google, see if there’s any bad press on them. For example, there was such an ICO as Monaco. They’re creating debit cards and credit cards for Bitcoin and cryptocurrencies. However, if we google the founder, we will see that his last company went bankrupt, so it is obviously not a good idea to give these guys your money. You can do your homework, for example, going on sites and Bitcoin forums like BitcoinTalk. Just search and see what other people are saying about these companies. With things like that, you will avoid them. Let’s say you still believe in the product or the idea. For example, as opposed to investing in the ICO, I’ll pass on the ICO, but as soon as that project says their token gets listed in an exchange, I’ll buy it early at a discount and just write it off as the price goes up. ICOs are tricky. Once a project gets into an exchange, you can still participate at a very cheap price and just write it off. In some ICOs, although they’re disrupting venture capital, there’s still some restrictions. For example, you can’t invest in them if you’re from America because we still have some SEC rules, blocking some stuff. There’s some ICOs I couldn’t invest in, like iEx.ec and RLC. It’s some super-computing stuff on Blockchain. I couldn’t invest in it because I was in America. Although now I could just use a VPN (Virtual Private Network) to access it, but still you can just wait for the ICO to finish up. Once it got listed on the exchange, I just purchased their tokens for about 35 cents, rode the wave ’til it was like 75 cents, and sold for about 70 cents. I basically doubled my money in a week or two. Those are different ways you can navigate ICOs. Other important thing to do when investing in ICOs is to make sure the company or project you’re investing i, has some kind of prototype. Now, we know Ethereum. When they initially launched, they had no prototype. They had pretty much just a white paper, just a business plan. That was super early. Now the space is more competitive, so you shall expect the company to have a prototype, a proof-of-concept, a minimum viable product, MVP. Check if there is some kind of working prototype prior to investing money in them because you’re taking a chance on this. Now there are many sites out there that actually share their due diligence with others for free. For example, one site I have found out recently is called ICOrating.com. They go there and basically do in-depth thorough reviews on each ICO before you invest in it, and it’s free. They’ll tell you: “This ICO is risky, “Don’t invest in this, pass on this”, or “This is a great ICO, it’s stable”. They go through the team, the idea, the product, the competition in details, and it’s publicly available. Wonderful extpnaalion of facts available here.